2009-08-04. New. Ships with Tracking Number! INTERNATIONAL WORLDWIDE Shipping available. Buy with confidence, excellent customer service! Palgrave Macmillan, 1985-09-13. 2nd. Hardcover. Used:Good. Palgrave Macmillan, 1985-09-13. Hardcover. Good. Red Globe Press. Hardcover. 0230507565 New Condition *** Right Off the Shelf | Ships within 2 Business Days ~~~ Customer Service Is Our Top Priority! - Thank you for LOOKING :-) . New. Palgrave Macmillan, 2009-06-23. Sixth Edition. Hardcover. Used:Good. Palgrave Macmillan, 2009-08-15. Hardcover. Good. Baywood Pub Co, 1986-02. Hardcover. Used:Good. 2004-10-15. New. Ships with Tracking Number! INTERNATIONAL WORLDWIDE Shipping available. Buy with confidence, excellent customer service! Palgrave Macmillan. Hardcover. 0333961757 New Condition *** Right Off the Shelf | Ships within 2 Business Days ~~~ Customer Service Is Our Top Priority! - Thank you for LOOKING :-) . New. Palgrave Macmillan, 1992. This is an ex-library book and may have the usual library/used-book markings inside.This book has hardback covers. In poor condition, suitable as a reading copy. No dust jacket. 2004-10-15. Good. Ships with Tracking Number! INTERNATIONAL WORLDWIDE Shipping available. May not contain Access Codes or Supplements. May be ex-library. Shipping & Handling by region. Buy with confidence, excellent customer service! 1985-09-13. Good. Ships with Tracking Number! INTERNATIONAL WORLDWIDE Shipping available. May not contain Access Codes or Supplements. May be ex-library. Shipping & Handling by region. Buy with confidence, excellent customer service! 1992-07-13. Good. Ships with Tracking Number! INTERNATIONAL WORLDWIDE Shipping available. May not contain Access Codes or Supplements. May be ex-library. Shipping & Handling by region. Buy with confidence, excellent customer service! Palgrave Macmillan, 2009-08-15. Paperback. Good. Palgrave Macmillan, 2009-06-23. Sixth Edition. Paperback. Used:Good. Palgrave Macmillan, 2004-09-23. Fifth Edition. Paperback. Used:Good. Red Globe Press. PAPERBACK. 0230507573 Brand New ,Original Book , Direct from Source , Express 5-8 Business days worldwide Delivery. . New. Palgrave Macmillan, 2004-09-23. 5,Revised. Hardcover. Used:Good. Baywood Pub Co. Used - Good. Former Library book. Shows some signs of wear, and may have some markings on the inside. Palgrave Macmillan, 2004-10-15. Hardcover. Good. Palgrave Macmillan, 1985-09-13. Paperback. Good. Palgrave Macmillan, 2004-10-15. Paperback. Good. Basingstoke: Macmillan Press Ltd, 1999. Soft cover, 237 pages. A former library book withdrawn with stamps, sticker residue and previous owner has removed their name by clipping a 3" strip off the top edge of the front endpaper. There are minor notes and reference marks on some pages however the interior appears to be generally clean. Clean covers with a few creases, binding sound, minor marks on page edges. Packed well, prompt reliable dispatch. . Fourth Edition Revised and Updated. Soft Cover. Acceptable. 8vo - over 7¾" - 9¾" Tall.. Ex-Library..
Palgrave Macmillan, 2004. This book has soft covers. Ex-library, With usual stamps and markings, In fair condition, suitable as a study copy. 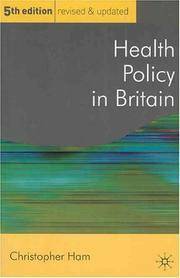 Palgrave Macmillan, 2009. This is an ex-library book and may have the usual library/used-book markings inside.This book has soft covers. With usual stamps and markings, In fair condition, suitable as a study copy. Palgrave Macmillan, 08/27/2004. Paperback. Used; Good. **WE SHIP WITHIN 24 HRS FROM LONDON, UK, 98% OF OUR ORDERS ARE RECEIVED WITHIN 7-10 DAYS. We believe you will be completely satisfied with our quick and reliable service. All orders are dispatched as swiftly as possible! Buy with confidence!